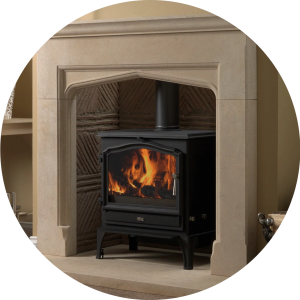 Ipswich Fireplace Centre is the place to go for quality fireplaces at affordable prices. We have a full range of Gas and Electric working displays to suit all budgets. We have found that our customers have a preference to viewing working Gas & Electric fires in a proper room set environment. We have therefore fitted out our showroom with most leading makes of Gas & Electric fires plus some very special fireplaces. We offer basic outset gas & electric fire replacements from £100 right up to bespoke wall inset and Agean Limestone surrounds at £3000. 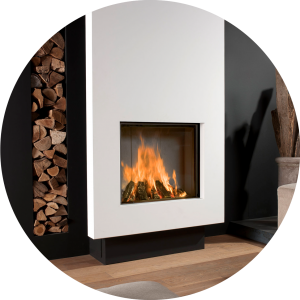 We are the largest working Gas & Electric fireplace Showroom in Suffolk and pride ourselves on offering a friendly environment to view our displays. We are agents for all leading manufacturers and offer back up warranty and service to all Gas fired equipment in your home. We work closely with local tradesmen and offer trade discount on production of Gas Safe registration number. GAS BACK BOILER removals, new high efficiency wall hung combi or system boilers fitted in exchange, also revamp your fireplace with a new gas or electric fireplace starting from only £2000. When looking for a new fire, are you confused about what choice would be right for you? We have technical support available in-house to answer all your questions and give advice. We carry out all the works including removal & disposal of old fireplaces, builders works in forming new false chimneys. HETAS & Gas Safe registered to issue completion certificates, so no need to get building approvals.